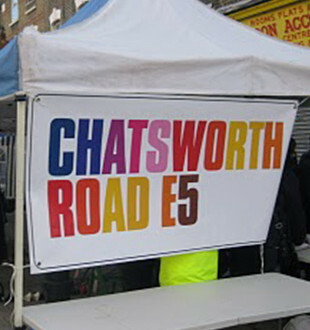 Through your letterbox this week you will have received a survey from Hackney Council about Chatsworth Road Market. We, the Chatsworth Road Traders & Residents Association, as the organisers of the weekly Market in conjunction with LBH, were not consulted on the questionnaire nor the content so whilst we completely agree with the community engagement and opportunity for feedback we do not feel it asks the right questions. We as an association ran our own survey of residents (see the summary here) this year who were 76% in favour of closing the road for market days and we have been pushing this agenda with the Council as the primary objective of the market for the last 3 years – however you will note that the recent questionnaire fails to ask this question – this is a significant and telling shortfall. What the market absolutely needs to be able to grow is more footfall, that comes from a safer & more enjoyable environment and a more diverse range of stall options – but to support those increased stall numbers the market needs more footfall so that stall revenues are not diluted at the same time – its a natural growth cycle that we strongly feel will be kick started by the Sunday road closure – please express your support for this on the LBH questionnaire if you agree. 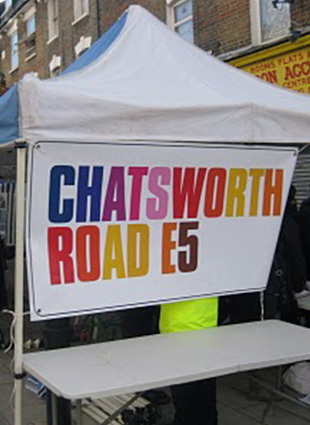 We very much encourage you all to fill out the form and make your opinions heard but on the printed version please do add your own additional “Sunday Road Closure” choice to the ‘What would encourage you to use Chatsworth Road Market more’ section if you are supportive. The online form https://consultation.hackney.gov.uk/parking-services/bfd36de3/ has more space for this in section 13. Thank you for all your support and any feedback you can give. Please share this as widely as possible amongst your family, friends and market customers.